Right now the Washington NFL team has a total of six HBCU stars on its team, five from the SWAC. 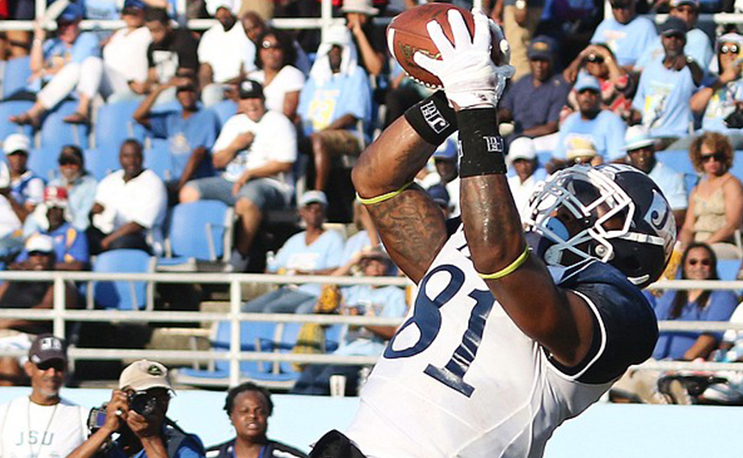 The Washington Redskins have added another former SWAC star to its preseason roster. Former Jackson State receiver Dan Williams III will be headed to the Nation’s Capital to try to earn a spot in the NFL. Williams signed with the Raiders in 2017 after going undrafted following his final season at JSU. He earned scouts attention during workouts after running a 4.3 in the 40-yard dash. He later spent time with the New York Jets before being released. He finished his career with 184 catches, most in Jackson State history. That’s pretty remarkable considering JSU has produced receivers like Harold Jackson, Jimmy Smith, Sylvester Morris and others who have gone on to NFL careers. Carter could have a shot for extended playing time throughout camp now that running back Derrius Guice is out for the season after tearing his ACL in the preseason opener. But he missed the first preseason game with a hamstring injury, so he’ll have to fight through that pain to secure a roster spot at camp’s end.